MELBOURNE IS THE FASTEST GROWING CITY AS AUSTRALIA’S POPULATION REACHES 25 MILLION! According to the Australian Bureau of Statistics’ (ABS) population data Australia’s population tipped over 25 million people in early August 2018, having doubled since 1970. Three weeks after this milestone was reached, the population of Melbourne, Australia’s fastest growing city, also hit a significant milestone reaching the 5 million mark. In 2017, Melbourne added 125,424 people which is the largest annual increase of any city in Australia’s history. Amazingly, it is the equivalent of adding one new Darwin to Melbourne each year. Melbourne, based on the current growth rate, will add 132,000 to its population this year. By contrast Australia as a whole has grown by around 400,000 people per year over the last three years. The only city in Australia growing faster than Melbourne is the neighbouring city of Geelong, which grew by 2.71% in the last year. 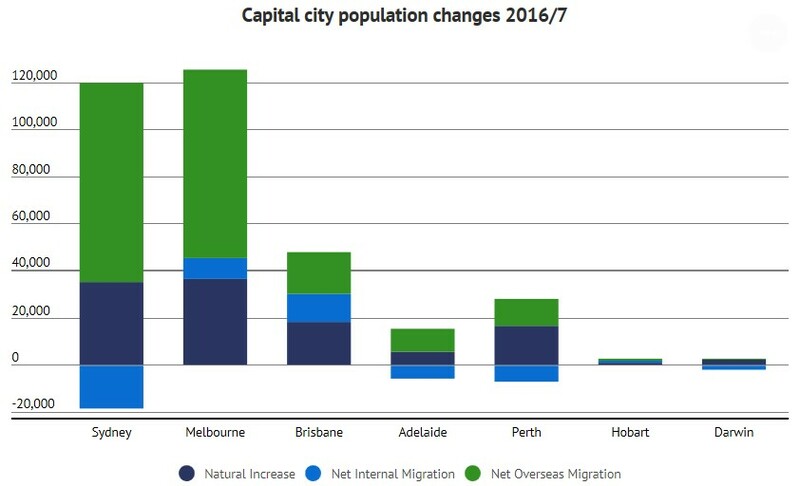 Other regional cities in Victoria are also being fed the overflow of Melbourne’s population growth. Ballarat, Bendigo, and Albury/Wodonga are also growing faster than the national regional growth average. Based on the current population growth rate of Melbourne, it will hit the six million mark in 2025, the same year that Sydney will reach that milestone. Melbourne is then expected to overtake Sydney to be Australia’s largest city in 2026. Based on the current growth rate, Melbourne will reach seven million in 2031 and eight million in 2037 (with Sydney not reaching eight million until 2040). Victoria is also Australia’s fastest growing state. Last year the state added 143,400 people which is larger than the growth of NSW, SA, TAS, NT and ACT combined. While Victoria has just over a quarter of Australia’s population, it currently accounts for more than a third (37%) of Australia’s annual population growth. Victoria also accounts for 35% of Australia’s Net Overseas Migration and 29% of Australia’s natural increase. 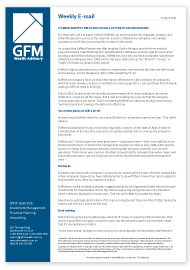 Unlike most other states and territories, Victoria has all three factors contributing to its growth; Net Overseas Migration, Natural Increase and Net Interstate Migration. Only Queensland is gaining more people from the other states than Victoria. New South Wales, South Australia and Western Australia are losing more people than they are gaining from the other states. Source: ABS Regional population growth 2017. How long has it been since Australia reached previous milestones? 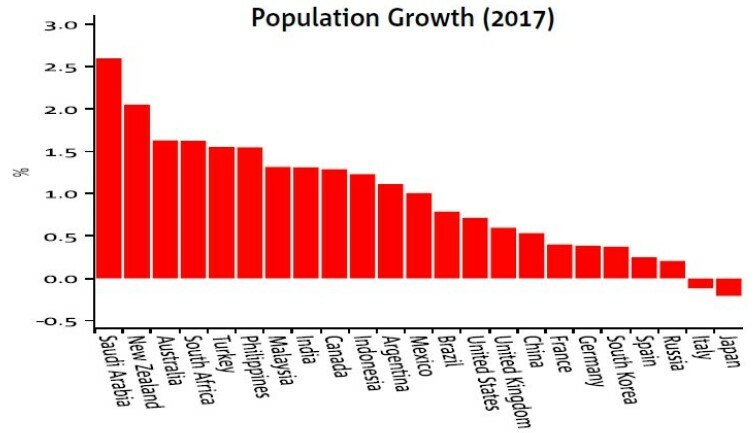 Australia’s population grew by 1.6% throughout 2017, relative to the global population which increased 1.1% .The growth has increased rapidly over the past decade, lifting by 3.755 million, or 17.9%, according to the ABS. The total Australian population has increased by around six times since Federation in 1901, rising from 3.8 million. Australia has the 53rd largest population in the world, one place behind North Korea, and its population accounts for 0.33% of the global total. However, by world standards, Australia has a relatively rapidly growing population. As seen in the chart below from the National Australia Bank (NAB), Australia’s population increase in percentage terms was only behind Saudi Arabia and New Zealand based on data from the United Nations and other national statistical agencies. Source: National Australia Bank, UN, National Statistics Agencies. From an investment perspective, Australia’s population growth is quite beneficial. Essential services such as infrastructure, healthcare, utilities and telecommunications are expected to benefit along with consumption based goods and services.